The market for optoelectronic sensors is growing with new unveilings coming from an ever increasing array of suppliers. The devices, which source, detect and control light are used in a wide variety of industrial applications. These range from the environment, medicine and healthcare, through to aeronautics, space, defence, food and agriculture. The technology includes fibre optic communication, laser systems, remote sensing support, medical diagnostic systems, electric eye, and optical information systems. Academia, in partnership with industry, is also working towards the development of better sensing systems. In May, Jing Zhang, an assistant professor in the electrical and microelectronic engineering department of Rochester Institute of Technology received an award from the National Science Foundation to develop new, highly efficient ultraviolet light sources. The goal of Zhang’s research group is to increase the efficiencies of optoelectronic devices, specifically using ultraviolet LED technologies. This, says the group, could advance important applications in photolithography, 3D printing, purification systems and a variety of sensing applications. “We have developed the physics, and we have promising preliminary results on very initial UV LEDs. We are going to continue the research with these results and see how we can achieve optimized novel device structures,” Zhang said. 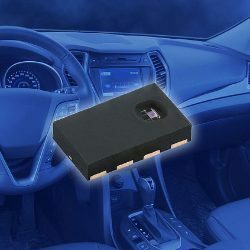 Meanwhile, new commercial offerings include optoelectric sensors from Pepperl + Fuchs, one of the world’s leading companies for industrial sensors based in Mannheim, Germany. The R200 and the R201 series, introduced in May, are described by the company as “the future-oriented product architecture of optoelectronic sensors” that provide enhanced flexibility and opens up applications with longer working distances. The new series follows on from the compact R100, R101 and R103 series of sensors. Both the 100 and 200 series confer uniform usability with an identical look and feel. They feature multi-turn potentiometers as well as pushbutton combination controls to ensure quick and easy adjustment of the sensors. Leuze Electronic Ltd, the global electronic sensor supplier, also recently expanded its portfolio of optoelectronic and inductive sensors with proximity switches. The new range introduces contactless, wear-free devices, which are resistant to electromagnetic influences, interference and contaminants in the air such as dust. The company claims because of their ability to “see through” certain materials they are particularly suited for use in the packaging industry. There they are able to detect products in outer packaging and behind container walls, checking and monitoring fill levels for completeness. The automation technology company Pilz GmbH & Co. KG, based in Ostfildern, Germany announced a new suite of products that will be showcased at ‘Automatica 2018’. The event is scheduled to be held on June 19-22 in Munich. Among the new products to be unveiled are its’ safe sensor technology range. These include various sensor technology solutions, such as the light beam devices PSENopt – which provides finger, hand or body protection – through to the safety laser scanner PSENscan that is suitable for two-dimensional area monitoring. Meanwhile, the Nuremberg based supplier of safety switches, sensors and enclosures, Bernstein AG, recently introduced its new non contact smart safety sensor safety RFID. This compact sensor monitors moveable protective equipment. The sensors enable employees to be protected from injury if they should attempt to shut down or start up equipment when the separating safety device is not properly closed. They are designed to be suitable for packaging machines and equipment, woodworking machines, turning and milling machines, food processing machines and injection moulding machines. With the outlook for optoelectronic sensors looking so positive it is little wonder that manufacturers like First Sensor AG, with a market cap of 221.70 million EUR, are eyeing such a bright future on stock exchanges like DAX. Over the past year, the company’s share price has soared and there is every reason to suppose that this strength will be replicated in companies across the sector in the coming years.